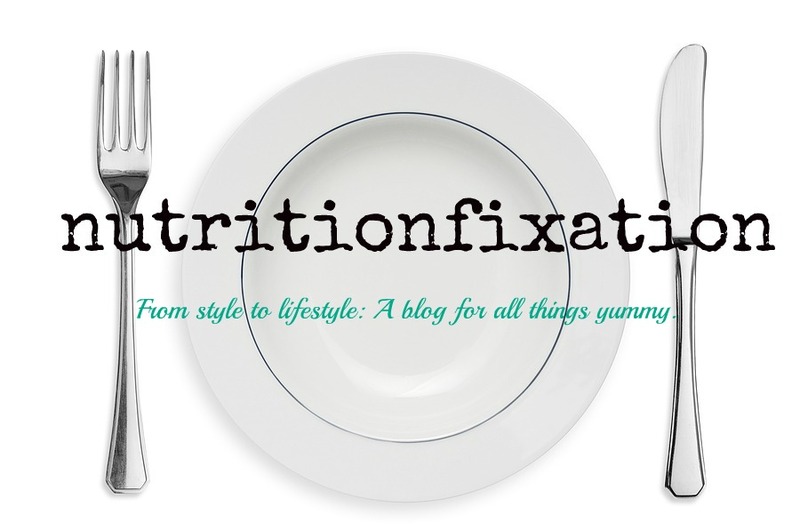 nutritionfixation: Pick of the Day: Sunchokes!! Pick of the Day: Sunchokes!! Don’t be fooled by their grotesque root-like appearance! 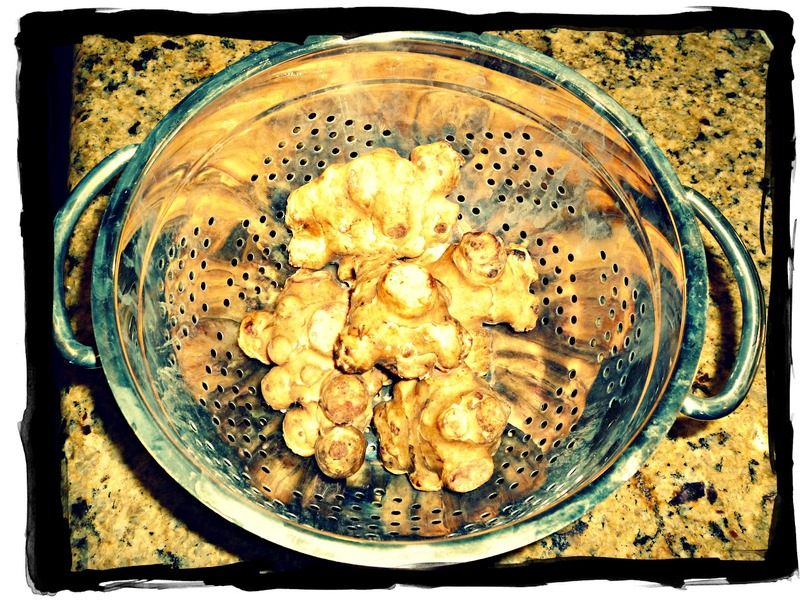 Sunchokes are a surprisingly delicious veggie that can be prepared in so many ways! Although they look like a ginger root, they actually taste more like an artichoke heart. Imagine the texture and tenderness of an artichoke heart with the flavors of a potato and a chestnut! Sunchokes are high in a prebiotic soluble fiber known as inulin, thus promoting intestinal health. They are also a wonderful source of vitamin C and potassium. 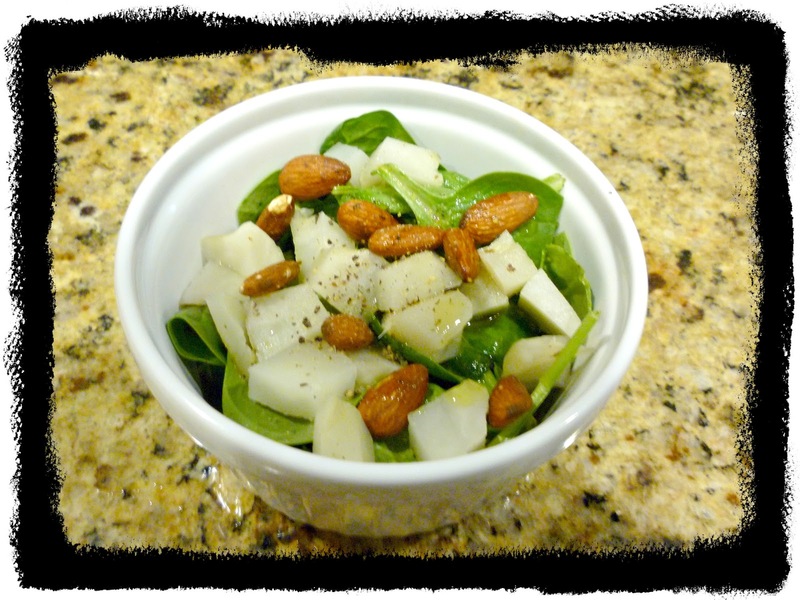 Sunchokes can be prepared in a variety of ways. They can be boiled, roasted, or can even be consumed raw like jicama. Where to buy: Can be found in specialty markets such as Whole Foods or Gelsons. If you live in warmer climates, check your local farmers markets. 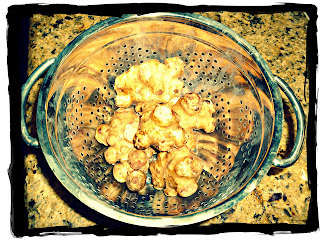 Rinse and scrub sunchokes thoroughly to remove any excess dirt. In a medium size pot, add water, a dash of salt, and sunchokes. Bring to a boil. Cook sunchokes for about 20 minutes. Drain water and let the sunchokes cool for about 10 minutes. Peel off the skin with fingers (or use a knife if you prefer). Chop sunchokes into cubes. 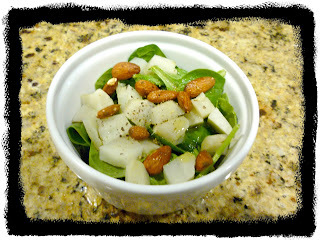 Serve on top of your favorite salad (Above: Raw spinach, almonds, pear vinegar, olive oil, and freshly ground pepper). Enjoy!